We are the number one English language school in the UK based on British Council inspection results. We are the only school to have received strengths in all 15 areas of the inspection so we really can deliver what we promise. The British Council described our teaching profile as excellent and our teachers really work on building students’ confidence. Our classrooms have the latest technology so lessons are interactive, challenging and enjoyable. In 2017, we welcomed students from 78 different countries so at WSE you will not only improve your English but you will also make new friends from all over the world. Our minimum age is 16 and our oldest student to date was 83! On average we have between 250 and 350 students at any one time. 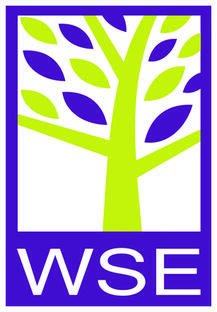 We are in a beautiful building with a large garden and we are often told that it is the friendly and welcoming atmosphere makes WSE such a perfect place to study English. We have a large study centre and there is a teacher available every day to help students with extra study. All of our accommodation is less than 30 minutes from school and we have lots of options within walking distance. You can choose between a host family or one of our 4 student houses. All accommodation is arranged by us so we guarantee high quality and friendly hosts. London will always be one of the most exciting cities in the world and living in Wimbledon is the perfect way to explore the city at your own pace. You’re only 15 minutes from the city centre and Wimbledon has everything you need within walking distance: shops, bars, restaurants, cinemas theatres, parks & sports centres, not to mention the All England Lawn Tennis Club, home to the Wimbledon Championships every year. I took an IELTS preparation course with two great teachers (Duncan and Julian) after attending many courses in other schools. I strongly believe that this English school is the best because of its amazing staff. They are polite and qualified in IELTS preparation. I really recommend it. I'll recommend this school for all adult learners of English. I have been following a weekly course of medical OET just before my examination. The teachers were all dedicated to our course. So it was very helpful to know the last tips for the test. The school is also a very nice place to study with all facilities. Very good located, near Wimbledon Train Station. Clean, organised, staff always avail to help you. Good teachers, lots of activities during class time, also lots of options of extra activities as games, London tourism, library, movies, etc. I had a really nice study abroad. The stuff is extremely friendly and cares a lot after the students. The school offers a wide range of activities. I really recommend you to buy the tickets for musicals and theatres they offer, they are much cheaper and you will enjoy it. All teachers and staff are great! They’re Very welcoming, helpful and kind! The courses are books are very effective. The school has good infrastructure with a lot of amenities. I’ve met people from all over the world. I’ve have amazing experience there and I’m back to my country very confident about my improvement in English and in my life. The school is very big and it has got a lot of classrooms. The school is located in the countryside . The courses are very interesting and engaging. During the trips you have got a little free time. I enjoyed my time in Wimbledon School of English. Staff were helpful, teachers were well educated professionals whom we learned a lot and exchanged good experience. We did not have the time but there were also a lot of social activities going on, WSE is a perfect choice for a short term study course. The school is amazing in itself, not only has it lots of facilities - such as digital boards, a Study Center, free Wi-Fi and a social program super complete for the students - but it is also in a perfect location: it's 2 minutes walking from a supermarket and 5 minutes from Wimbledon station. There are also lots of cafés, pubs and parks nearby, it's a beautiful area! The accommodations are also outstanding, I stayed with a host family and the experience was fantastic, I had the opportunity to speak English with them every day and the sense of "home" helped with the homesickness. The family also gave me very useful advice about my Oyster Card and the activities I could do in London in my free time. I'd like to emphasise how absolutely extraordinary is the staff, from the teachers to the receptionist, they all were super helpful and made my experience there one of the bests I have had. I've spent unforgettable days at school. Hilary, Frances and Anna were really kind and of course excellent teachers . I've picked up many helpful tips to improve a little this language I love so much .The group of students was also incredible and as they were young, I loved listening to them as well . I've really enjoyed having been at Wimbledon school in many ways, the lessons , the breaks, lunch in the garden, your cordiallity, everything! Thank you very much you all , it was a great experience for me and of course I'd be very happy to return one day! Who knows? 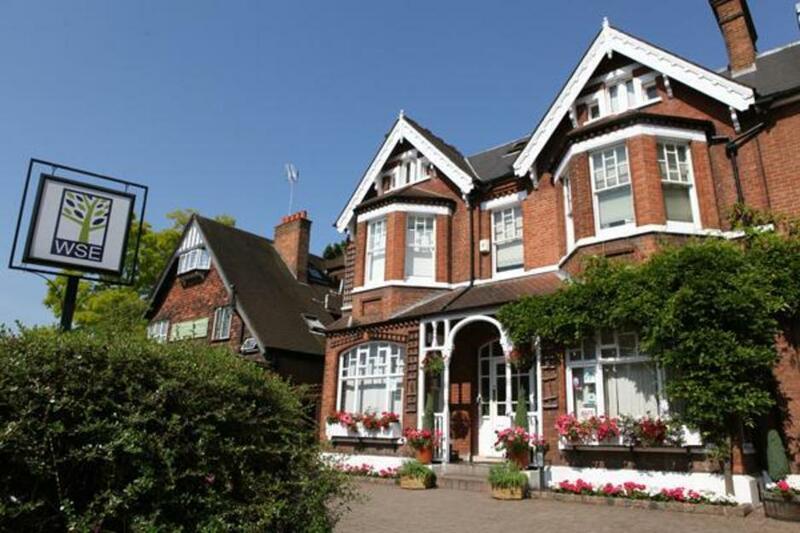 The school is situated in the heart of Wimbledon and will give you a truly international experience. You’ll learn to live on your own in a foreign country and your language skills will improve dramatically. Personally, I made a lot of friends there and I feel my English is completely different since I’ve arrived. I strongly recommend to check the official website of the school to find out its other features.